We are so honored that thousands of families bring their cars to Swift Automotive, because we know they are supporting the small, family-owned business, and that we have to compete with the huge dealerships. Some of our customers have been coming to us for over 20 years, (from our days as an automotive shop in Englewood, to today as one of the best known and trusted automotive repair shops in Littleton) and in many cases, we know their children and grandchildren! It’s amazing to us to see our client’s kids and grandkids become drivers and become our clients too, and we don’t take that for granted. Our clients are like family to us and have become dear friends in many cases. It’s not just because we care, it’s because they know we do great work, at a fair price, and that they aren’t just a number. You don’t get that kind of relationship when you are working with a massive auto-chain. Our customers know us by name and we know them. We care deeply about their safety and their satisfaction. If you don’t believe it? 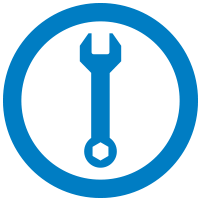 Check out our hundreds and hundreds of reviews!Having a 22-year track record of honesty and integrity is something we are very proud of. Our customers trust us and come to us because they know if something isn’t right, we’ll make it right. We work on every make and model. Ford, General Motors, Chrysler, Dodge, Foreign cars and all domestic vehicles of most every time period! Please see the talent of our repair technicians in the Auto Repair Experts section of this website to understand more about how seriously we take the expertise and your safety.Swift Automotive offers our repairs with a money back guarantee on all parts that we sell. Since our automotive technicians have over 100 years of experience combined in the industry, you are in the best hands possible. Corey Swift started this business out of his garage and grew customer by customer to now more than 4,000 customers. Thank you for your business and your trust in us – we won’t let you down! Corey is a Colorado native, and became a technician in 1985. He started Swift Automotive nearly 20 years ago in his garage, and built the business one customer at a time to today, where they celebrate having nearly 4,000 customers. They are in their third facility as they have continued to grow year over year to today’s shop on Rio Grande which is 8,000 SF. He has a reputation of kindness, honesty, and being highly detail oriented. He cares about every employee and every customer, and has built an environment of family where each employee feels valued and respected. Each employee is carefully vetted to ensure that they all have the same focus on keeping each customer safe on the road and taking careful personal care of each and every valued customer. Corey lost his wife, Sheri to brain cancer in 2010. Corey and Sheri have 2 kids, Natasha and Devin. Corey remarried in 2013 to Kira, and she has three sons: Connor, Ryan and Brendan. Kira now helps with marketing and business management with Corey and she also owns Swift Tech Advisors. Corey is in a rock band called “Drifting Tricky” and plays the drums. He’s an ASE Master Certified technician. He’s also an accomplished wood worker. He loves to travel, spend time with Kira and his family riding his ATVs, and snowmobiles! 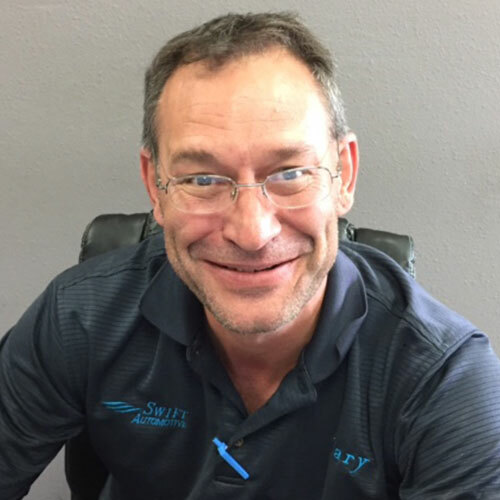 Gary is a Colorado native, has been with the Swift Automotive family since 2008. Gary is a Service Writer and part of our Management Team and also manages our Parts Department. He has been a parts specialist since 1989 and has been married since 1991 to Lorie, and has two children, Kayla and Ryan. Gary’s name has been synonymous with Swift Auto, as he’s run the front desk for so many years- our customers know him and trust him. He has a pleasant comfortable way with people and is a hard worker and cares very much about the business. Gary loves to hunt, fish, and play hockey in his spare time. He is an avid Broncos and Avalanche fan and has been in business management since 1991. We are lucky to have Gary as part of our team! 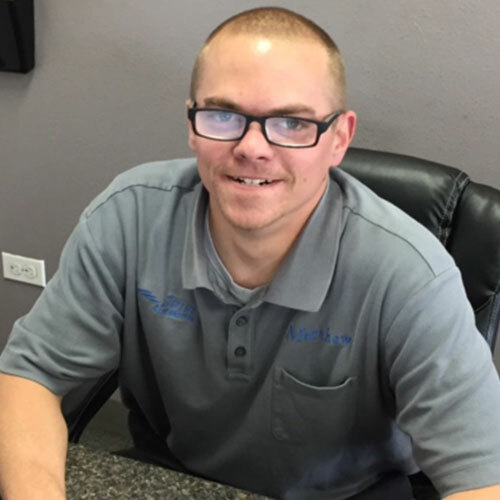 Matt is part of our management team and is a full time Customer Service Advisor. He has over 7 years of experience in the automotive field. 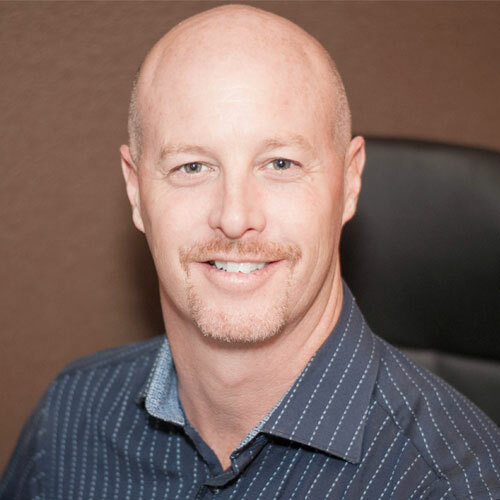 Matt prides himself in creating raving fans out of every customer and builds long lasting relationships and trust with the Swift family and customer base. Matt’s work ethic is superb and he is motivated to take care of the customers and is reliable as part of the team! Matt’s been married to Tori since 2008 and has two beautiful children, Jackson- and Mackenzi! Matt loves movies, his German Shepard “Dakota”, and hiking, always spending time with his family! Swift is so thankful to have Matthew as part of our valued team. Carlie is Swift Automotive’s Shop Foreman. He graduated in 1998 from Lincoln Tech to become an automotive technician in the US Military working on A1 Abrams Tanks. He has been an ASE Master Certified Technician for 10 years. He enjoys working on project cars, and is an expert marksman. He’s been married to Lindsey since 1999 and has a daughter named Summer. Carlie served in the Army as a Rank E4 and graduated top of his class at the US ARMY Tank systems training. Carlie loves to spend time with his daughter and wife. He is a very reliable and trust worthy person. Roger is a Colorado native and has been working on vehicles since 1974 and started working on front end suspension and alignments in 1982! He was Burt Chevrolet’s head alignment specialist for over 27 years. 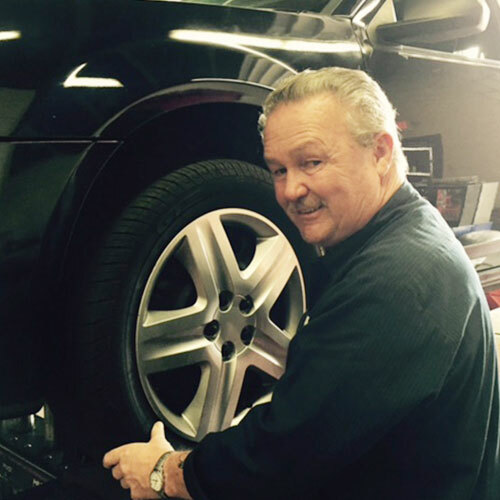 He is known throughout the community as being one of the best alignment techs in the state of Colorado. In his free time, Roger enjoys participating as a professional race car driver for Nascar for 42 years with 7 championship seasons and many, many, wins. Roger loves restoring cars, project cars, refabricating, car shows and spending time with his girlfriend Erin. 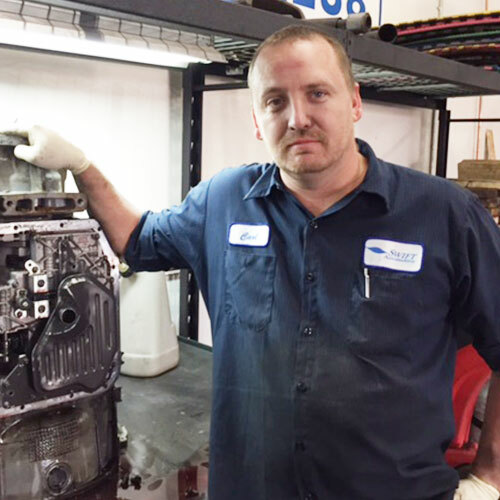 Jim worked with Corey early in both of their careers, and rejoined Corey at Swift Automotive in 2003 and is an Automotive Technician and has been ASE Master Certified. Jim has been a technician since 1982. 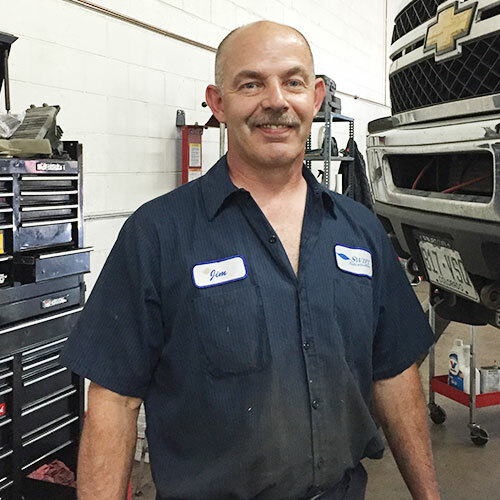 Jim is known here at Swift Automotive to be extremely thorough in his vehicle inspection write ups and repair work and cares very much about doing the job right. He is one of our top maintenance specialists. Jim’s wife’s name is Belinda and has one daughter named Jennifer. Jim also has grandchildren that he enjoys spending time with. Jim likes fishing and the outdoors.